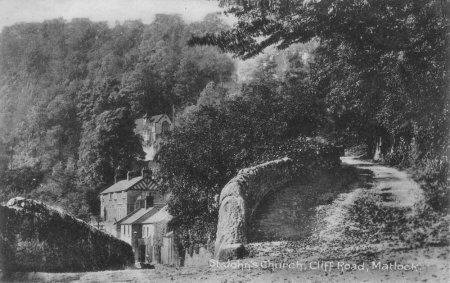 Taken c1920 by Charles Colledge, Smedley St, Matlock. 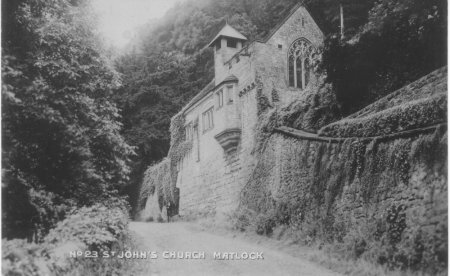 St John's chapel of ease, Matlock Bath, was built in 1897 by Sir Guy Dawber. It is located at Shining Cliff, on St John's Road, just above Dale Road. 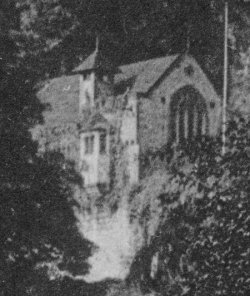 enlargement, showing the chapel in the trees.